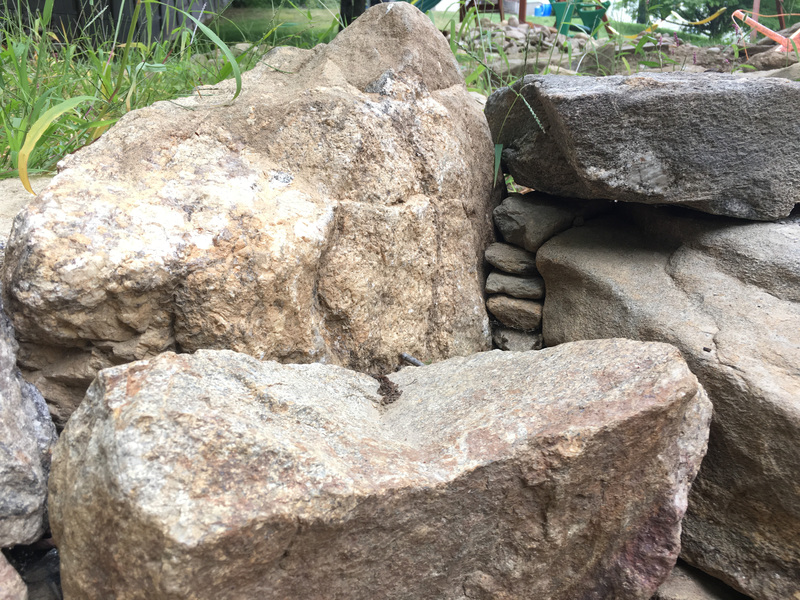 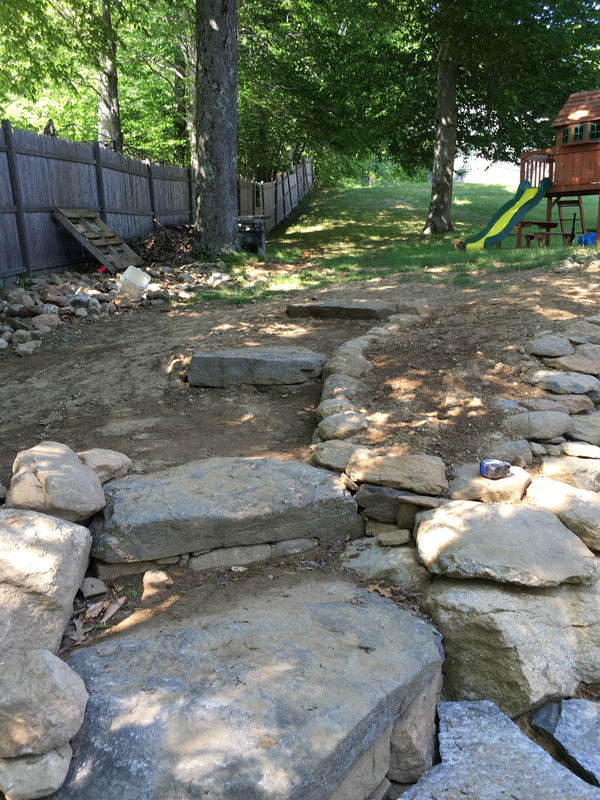 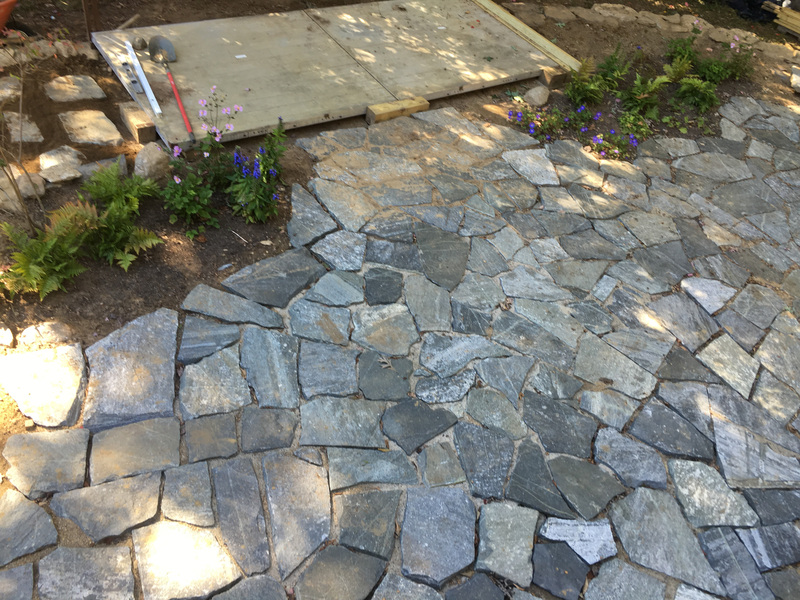 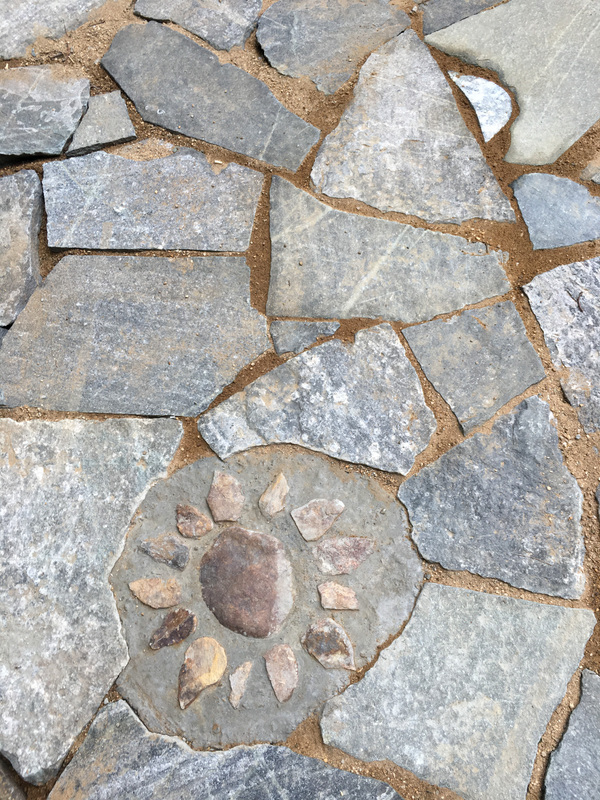 The removal of an old aboveground pool makes way for a backyard redesign with stone retaining wall, waterfall and koi pond, stairs, and patio of Connecticut whiteline granite. 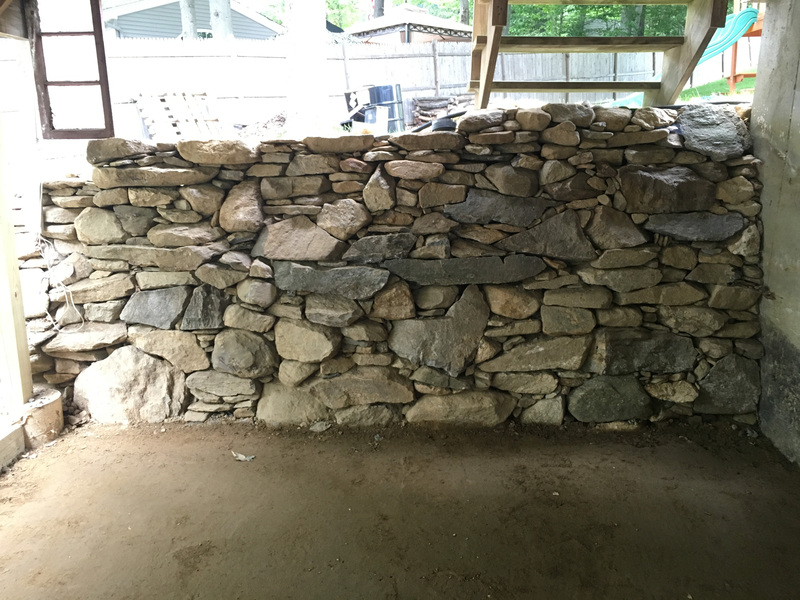 All the retaining wall stone was excavated onsite from below the deck, which becomes usable work and storage space. 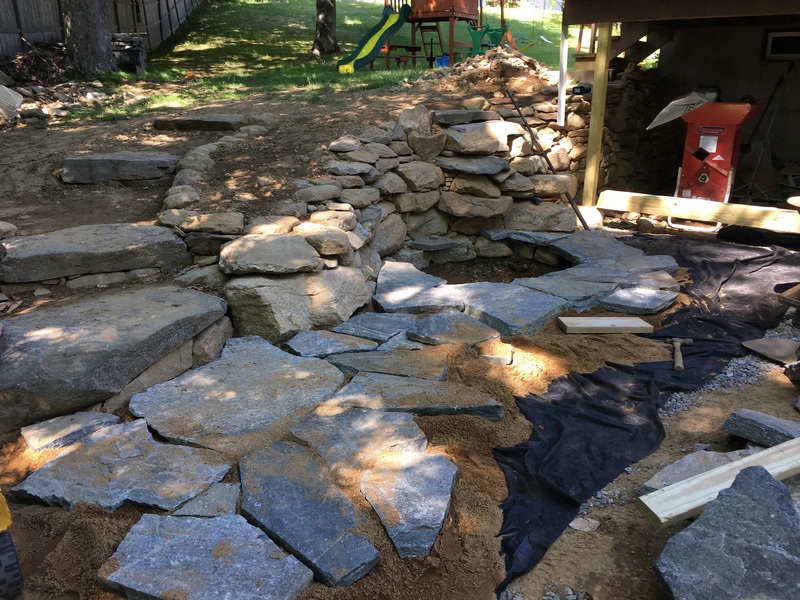 Future plans include a small stream that empties into the waterfall, edible gardens, an outdoor oven, and sugar shack.